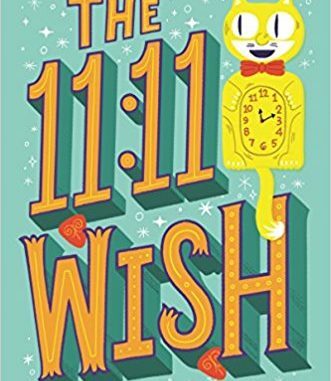 The 11:11 Wish, by Kim Tomsic, is a novel about Megan Meyers, a new girl at Saguaro Prep who is starting the seventh grade. Her family just moved to Arizona from Colorado because her father, who is a professor, got a new job. Her mother had recently died and that was taking a toll on the family. When she first arrives at school she is unwittingly thrown into the middle of a rivalry between the two most popular girls at school. This rivalry is over who is going to be elected Spirit Captain. Much to the dismay of team Rhena, Megan joins team Ally. Megan is a timid person by nature and has a hard time speaking up for herself. When she gets nervous she can’t stop babbling. She ends up lying to her friends about her reputation at her last school saying that she was known as the “Funmeister” when she was actually known as a “Dork Job” because she was proficient in math and science. She finds a cat clock in Mr. Kersey’s room and remembers that her grandmother had a clock just like it and that it is able to grant wishes. She uses the clock to gain popularity by promising Ally that she would throw a flashmob on election day. But it costed her. Using the clock was making her become more catlike. The cost is cumulative and eventually Megan could only say meow because the wishes she made were because she could not speak up. However, she broke the spell by trying to talk and she talked back to Rhena, which was something no one did, and she fulfilled her promise to Ally. She also did not feel as timid when it came to speaking up and she had a lot more confidence. One of the main themes is to be careful what you wish for. For Megan’s first wish she wished for the clock to give her some magic. 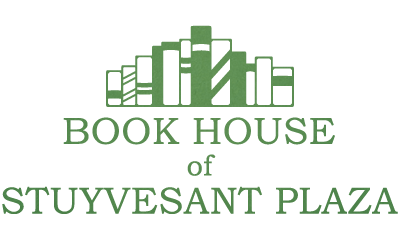 This is very vague and the Magicverse does not like vague wishes, among other things. As such it gives her a magic magazine but when she uses it, it causes her to get a headache and make her nauseous. It also plays some tricks on her, turning her hair into a lion’s mane and making her smell like catnip and causing lots of stray cats to follow her when she is with her friends. She realizes the magazine is bad but she keeps wishing because her reputation is at stake. The costs of these wishes accumulate and almost cost her everything. She says “Specific wishes on the clock are safe, but magic from a nonspecific wish may be packed with pranks.” (Tomsic 120). This is a classic example that you need to be careful when asking for what you want. Another theme that is shown is that you should deal with your problems on your own, with little help from outside forces. Her grandmother, who has experience with the clock and its wishes, says that “… the clock is exacting costs because you can’t speak up for yourself.” (Tomsic 244). Therefore, the clock is helping her but requiring something because it wants her to do this on her own without supernatural help. Another theme present throughout the book is that it is best not to bottle up your feelings. Megan’s mother died recently and the whole family was taking it hard. Her father had a heart attack because of grief and her sister, Piper, gave playing guitar because it reminded her of her mother which made her too sad to play. None of them talk about their mother and try to act as if nothing happened but it seems that that is not working for Megan as she repeatedly tries to get the family talking about her mother. At the end of the story Megan tries once more to talk about her mother by saying “‘It’s like you want to protect us from the pain, Dad. But it hurts more not talking about Mom.’” (Tomsic 355), to which her dad replies, “‘I’m sorry, girls,’…’Losing your mother was the greatest loss of my life. I didn’t want to burden you with that, but it seems I ended up creating a bigger burden.’” (Tomsic 356). After that conversation they felt a lot better about their mother’s death. Simply by talking about it they alleviated the emotions that swelled up inside them. All of these themes are kind of cliche but Tomsic still does a good job showing them. …many kids have experience dealing with loss, whether it be a family member or close friend, and they have to somehow express their emotions or they become bottled up. Overall I liked the novel. The themes I discussed were relevant to many middle schoolers. A lot of kids have trouble speaking up for themselves and a lot of kids feel that they can not get help and need to solve their own problems on their own. And, unfortunately, many kids have experience dealing with loss, whether it be a family member or close friend, and they have to somehow express their emotions or they become bottled up. I liked the first person narrative. Being inside the mind of a seventh grader is crazy. I liked the nerdiness of it because I like math and science and understood a lot of the nerdy jokes and similes. However, my biggest issue is the fact that this girl is probably better at math than me which is a little unnerving for obvious reasons. Also is was a little hard to believe how much power was given to the spirit captain of the seventh grade class. They got to dictate what people wore and ate for lunch and it was completely backed by the school administrators. I still have some questions such as what if everything did not work out in the end or why did Megan not wish for something more powerful like omnipotence? Could the clock even grant that wish? I do not know and maybe it is best left unsaid. 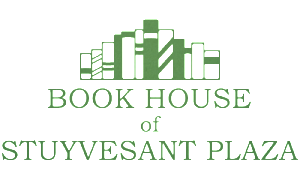 Overall I thought that it was a good book. Marco Loccisano is a junior at Clayton A. Bouton High School.